Tracing the northern bank of the James River, this approximately ten-mile-long, linear-shaped district extends from Bosher Dam to Great Ship Lock Park and was once part of a larger canal system promoted by George Washington to connect the eastward-flowing James River and the westward-flowing Kanawha River (a tributary to the Ohio River). 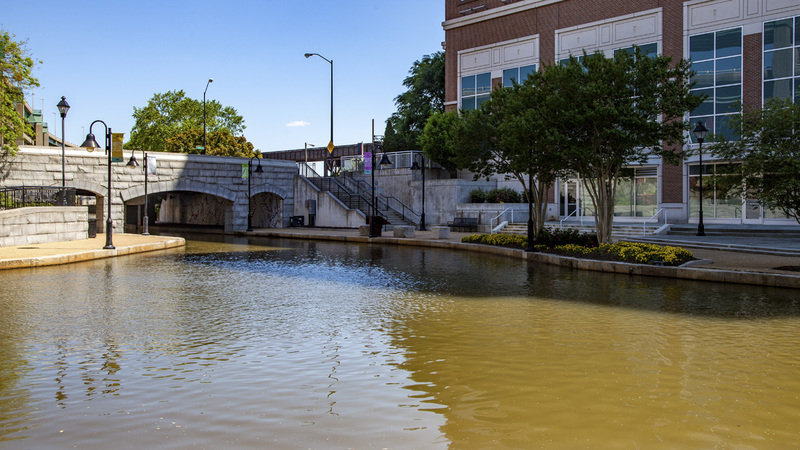 Construction on the canal began in Richmond in 1785 and reached Lynchburg in 1840. By 1851 construction was completed at Buchanan, its final destination. 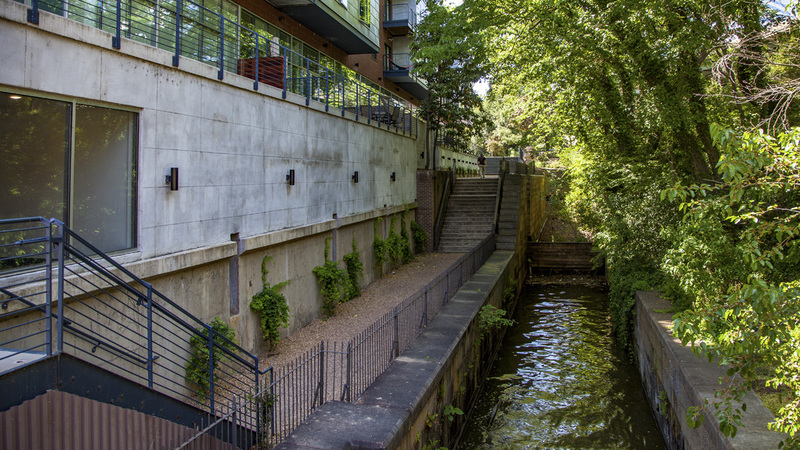 Spanning 197 miles with 90 locks and a total lift of 728 feet, the canal was busiest during the 1850s, with traffic peaking in 1860. 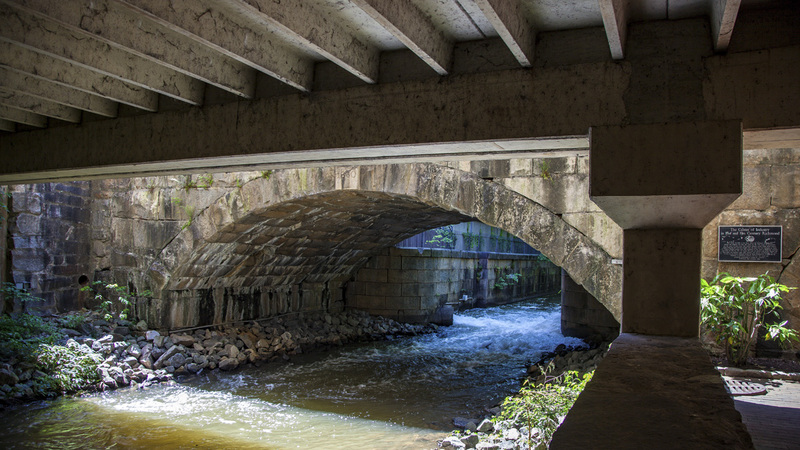 By 1880 the Richmond and Allegheny Railroad Company constructed train tracks on the towpath to replace the canal. 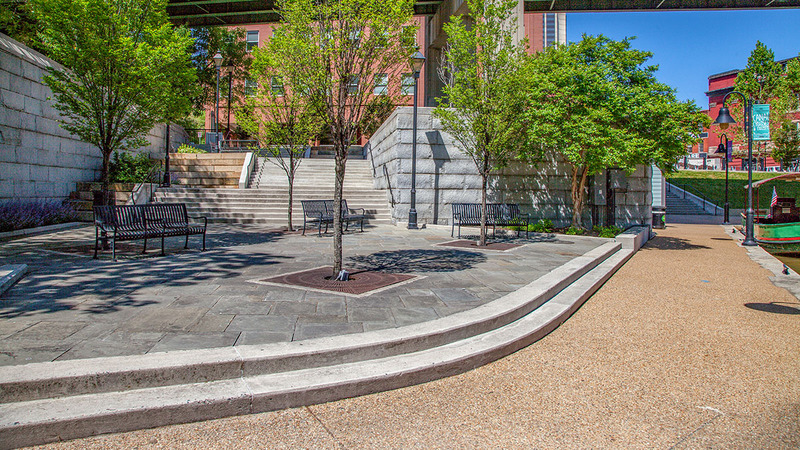 A revitalized canal and pathway spanning the 1.25-mile-long downtown segment, from Tregadar Iron Works to Great Ship Lock Park, was completed by WRT (Wallace Roberts and Todd, Philadelphia) in 1999. 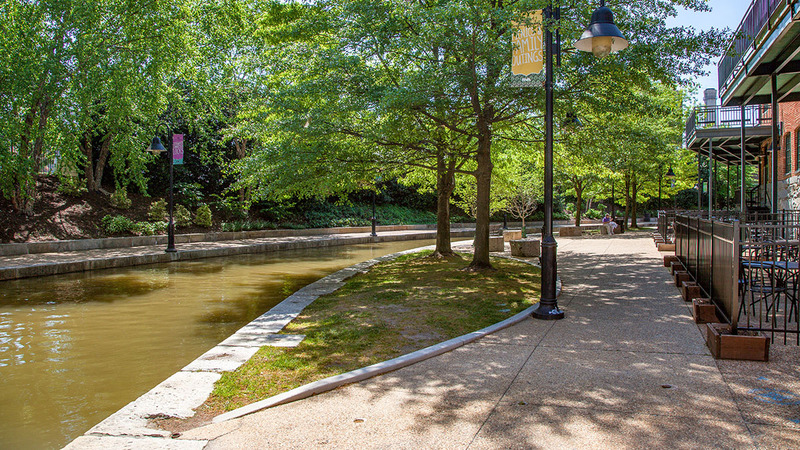 The Richmond Canal Walk, embedded with circular bronze medallions that mark historic locations, features educational exhibits and is lined with canopy shade trees, perennials, and shrubs. 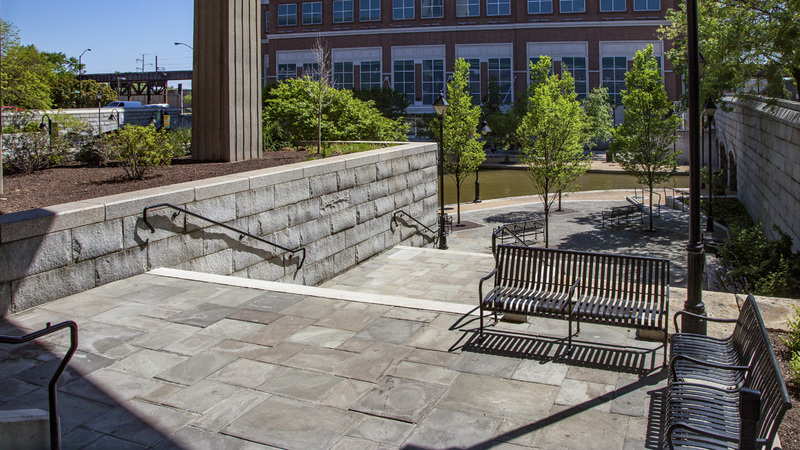 Large rectangular stones and benches provide seating. 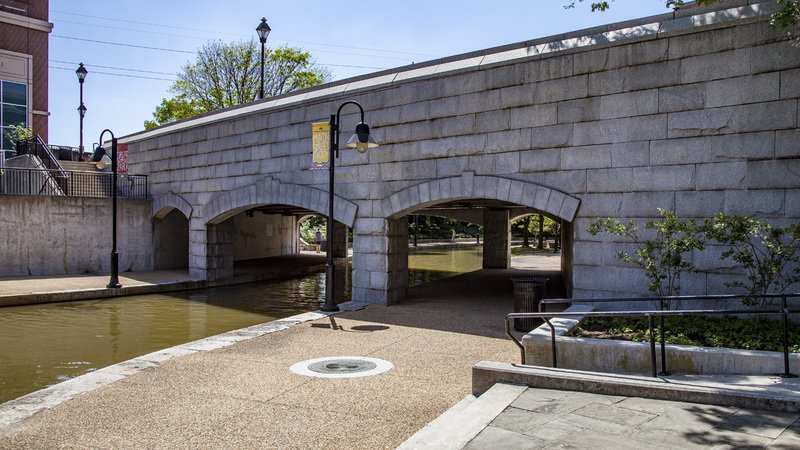 The canal walk connects with other components of the James River Park System: the Virginia Capitol Trail to the south and the North Bank Trail to the north. 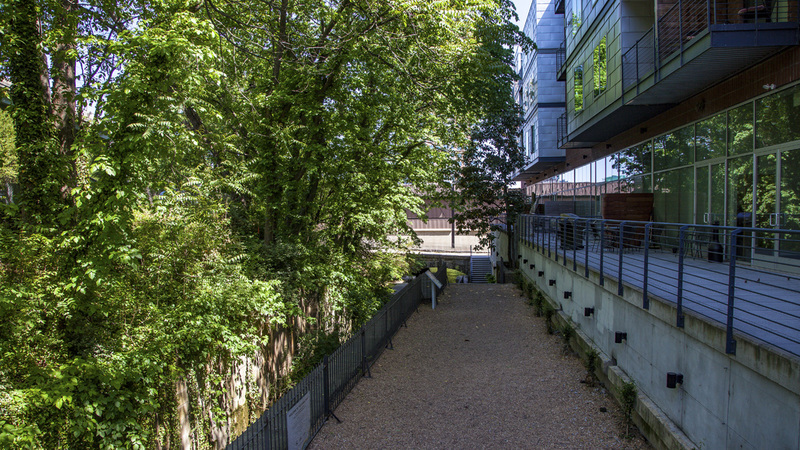 Other segments of the historic canal path, generally lined with train tracks, include such remnants as earthen excavations, stone locks, bridges, culverts, walls, and towpaths. 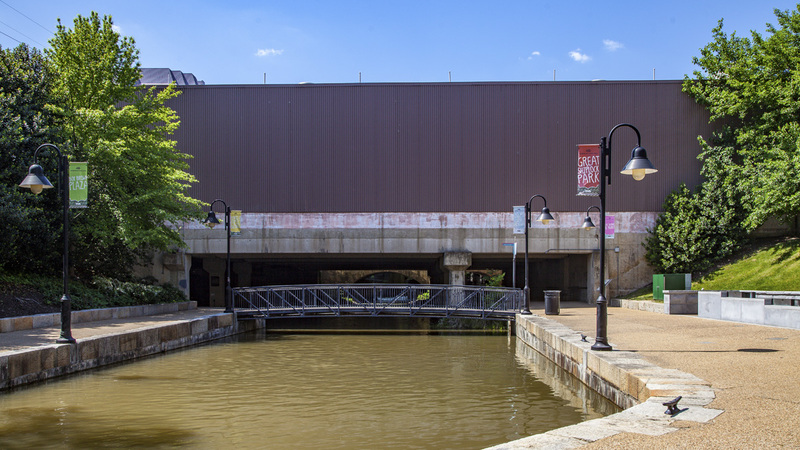 The James River and Kanawha Canal Historic District was listed in the National Register of Historic Places in 1971.